Bopp Bags are woven laminated bags made from Polymer Polypropylene and provide excellent printing and graphics to be printed on them. These are available in a wide range of standard and custom designs and sizes. Bopp Bags are used where the company wishes to display its logo or brand name with other types of print designs. What are the advantages of Bopp Bags? 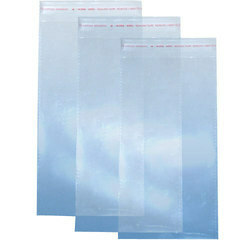 Bopp Bags offer excellent clarity and are completely waterproof. These are made from special materials that offer lowest electrostatic charge, if any. These are ideal for reverse printing as the material is perfect for high speed printing. The advanced Corona treatment can be easily applied on both sides of the bags. What are Bopp Bags useful for? Bopp Bags are increasingly used by companies to pack, store and sell various perishable consumer goods. These bags are ideally used for storing rice, seeds, fertilizers and chemicals, tea/coffee, food/spices, animal feed, white cement, wall putty and outer packing along with promotion of products. Why choose Simplex Chemopack Bopp Bags? 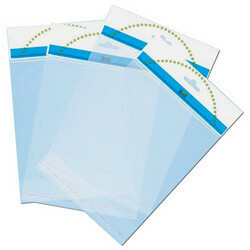 Simplex Chemopack Private Limited has become a leading provider of high quality Bopp Bags. The Bopp Bags from Simplex are made from high-end PP material to ensure best quality printing as well as highly reliable packing and storage solutions.